but nothing happens. What am I doing wrong? Thanks! Note: You cannot move a markup, you can only wrap/remove/modify it. // wraps every article with 'first_news' markup. // removes 'first_news' markup for articles except the first one. well, first of all thank you for answering! this is a huge mistake for me and I need to find a solution. I already tought about wrapping but this doesn't seem to be a valid option in this project. Create another loop for the top article. * This is added before primary. // use the same arguments like the other $loop you use in primary. // add this at the end of other arguments, replace with this it if it is set before. return; // no posts found, don't do anything. Set an offset of 1 after arguments used to the loop used on Primary section. // add offset after arguments. 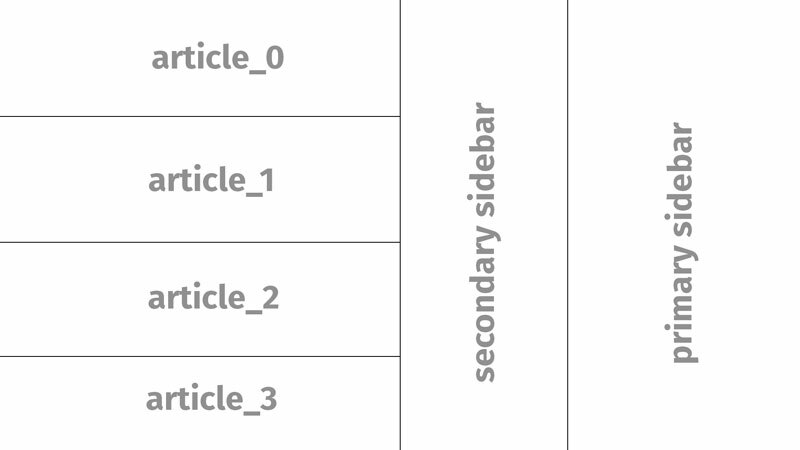 Other solution is to use CSS ONLY, but the top article must have a fixed height in pixels, at least on desktop view. 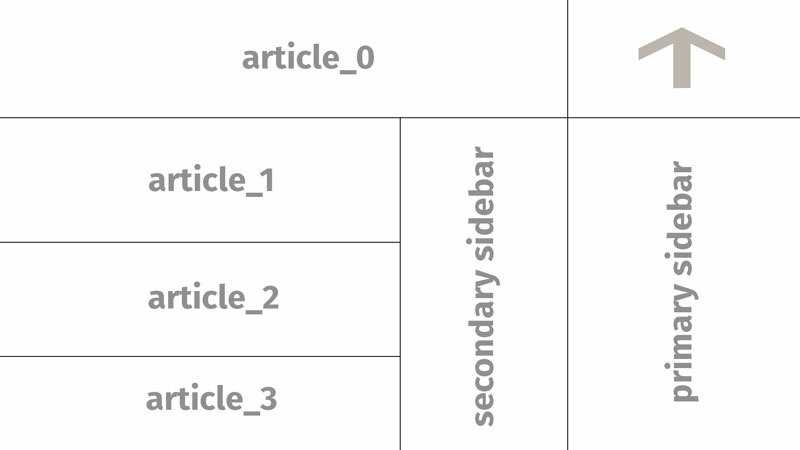 In the end, leaving the "framework move" path, I'm adopting a different point of view approach which moves first article with jquery, again, but then adapts only the primary sidebar. In this way I reached the main goal to avoid graphical glitch of overlap the second sidebar and other articles over the first article and this is enough now. Anyway... is there a particular reason why beans cannot move a markup? What does prevents you to public this kind of feature? I really think this would be hugely useful for most of us. // Start buffer, make article placement position using a HTML Comment. // Verify if buffer is cleared using first article, if no articles, clean it. ob_clean(); // clean buffer when no articles are displayed. // Add a HTML comment before article 0 to identify it with Regex. // Replace markup using the buffer we started. $markup = ob_get_clean(); // get markup, clean buffer. // print out the new markup. The code is not tested, you should check if, Primary section has an markup ID beans_primary and the first article in loop should have an markup ID beans_article_0, then it will work.